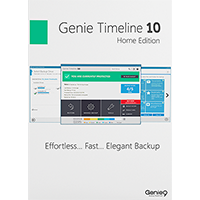 Genie Timeline Home 10 is a very easy-to-use backup tool which works almost entirely automatically. When you first launch the program you'll have to select the destination drive for your backups (a network drive is just fine). You can then check boxes to confirm the type of file you'd like to back up (Office files, pictures, emails, music, documents and so on). And if you want to define specific files or folders to back up then you can do that, too. Once this is all set up, though, there's no need to do anything else. The program runs when it's necessary (which means when your files have changed and your PC is idle). If it's interrupted, perhaps because your PC closes down or reboots then the program will resume later, just where it left off. And if you need to restore one or two files at some later date, or your entire backup, then the Restore tool makes it easy. In addition to all this, Genie Timeline Home has been enhanced with plenty of new features. Backup speeds are twice the speed of the previous version, for instance. 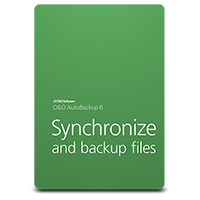 The program is smarter, less likely to store multiple copies of the same file, so reducing backup space requirements. Explorer folder icons will have a marker to indicate which ones are backed up. And it's now quicker and easier to restore the files you need. The Home edition allows you to run your backups on a schedule, and more frequently (every 30 minutes if you like, as opposed to every 8 hours for the Free edition). It supports Disaster Recovery, so you can restore your PC even if Windows won't boot. 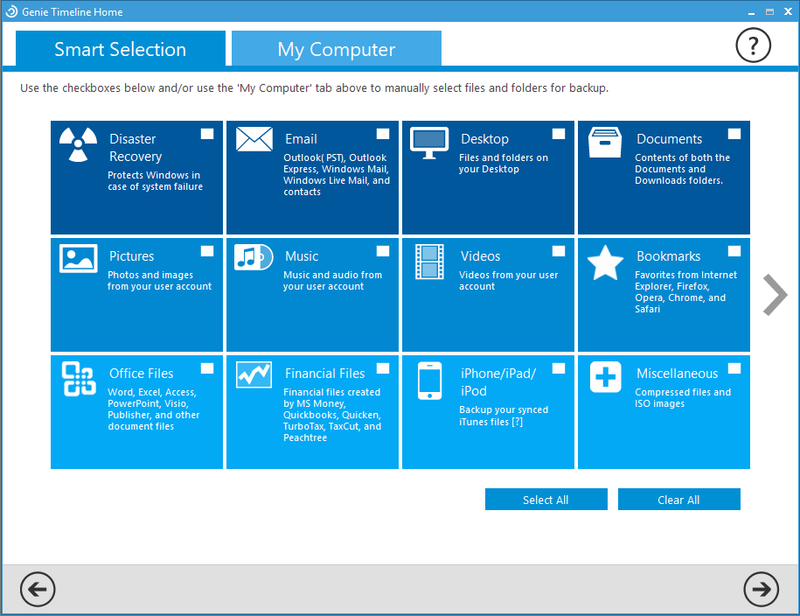 Backups can be compressed to reduce space, a Game/ Movie mode reduces alerts, and you're allowed to use it commercially. Genie Timeline Home 10 includes a 1-PC, non-expiring lifetime license.